by Clay J. Naito, Ph.D., P.E. This web seminar provides an introduction to blast loads, their effects, the analysis methods used and the performance-based design requirements that guide blast-resistant design. Due to the heightened potential for intentional high-explosive detonations in or adjacent to the buildings we work and live in, many government nonmilitary and military structures in the United States are required to consider blast demands as part of the design process. Until relatively recently, mitigation of this threat was the nearly exclusive domain of a handful of elite firms and individuals. Also, highly specialized techniques and tools were typically utilized. This seminar will address the subject in an easy-to-understand manner because it is helpful for each member of the design team to understand how blast loads are considered during the design process. 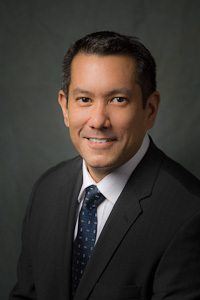 Clay J. Naito is an associate professor of Structural Engineering at the Department of Civil and Environmental Engineering, Lehigh University, Bethlehem, PA. He received his undergraduate degree from the University of Hawaii and his graduate degree from the University of California Berkeley. He is a licensed professional engineer in Pennsylvania and California. His research interests include experimental and analytical evaluation of reinforced and prestressed concrete structures subjected to extreme events including earthquakes and intentional blast loads. Professor Naito is Chair of the Prestressed/Precast Concrete Institute (PCI) Blast Resistance and Structural Integrity Committee and an Associate Editor of the ASCE Bridge Journal. He has received funding from the Air Force Research Laboratory and the National Science Foundation to develop innovative methods for protecting people and equipment from blast and ballistic effects. He teaches courses on the design of Prestressed Concrete Structures and Blast Design of Buildings. In 2008, he received the PCI Young Educator Achievement Award for outstanding service to the industry. All attendees, irrespective of the number of registered connections, can earn 0.2 Continuing Education Units (CEUs) or 2.0 professional development hours (PDHs). CEU/PDH certificates are provided free of charge.